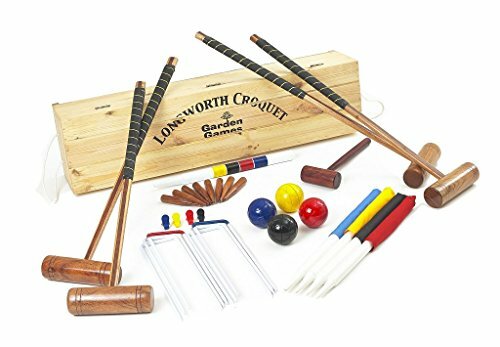 The Garden Games Longworth Croquet Set is a full-size 4 player croquet set. It is probably the best value full-size set available. This version comes in a box, as an alternative to the bagged version.